Connection column, cut the thread and fasten. 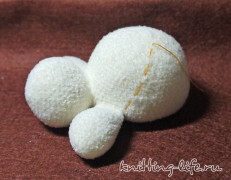 The head is not stuffing. Connection column, cut the thread and fasten. Hands fills a little more than half. Fold open the upper part of the arm in half, so that the number of 17 double ubavki settled strictly on the sides. 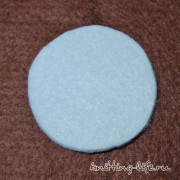 Cut the thick white felt circle size related. 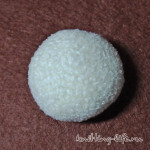 Stuff head, insert a circle of felt. Stuff the body to the end. The thread is cut, the hole pull. 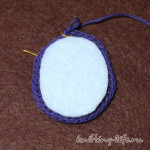 The thread to fix and hide. Dial a chain of five air loops. Tied with a chain around. Cut the thick felt insole slightly smaller. Connection column, cut the thread and fasten. 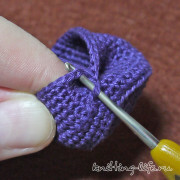 Tie the sole edge Rachim step for the left half-loop. We collect 35 loops of air, connect to the ring connecting column. Provyazyvaem circle number 1 35sbn. Finish knitting the connecting column. 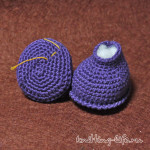 The thread is cut off, hide all the tails. 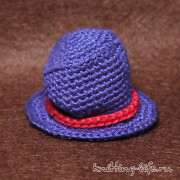 Dress rim on the hat. 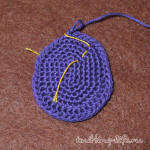 Knitting Iris. 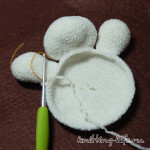 We collect a chain of 9 stitches, connect to the ring connecting column. 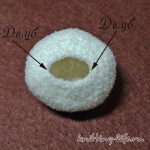 7 row: K, thread breaks, tension band, ponytail hide. 1.Prishivaem shoes to the body. 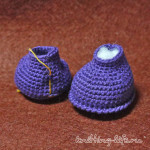 2.A head sew a hat half-loop 19 for a number of hats. 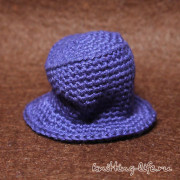 This hat very little fills. 4.Vyshivaem mouth, inner corners of the eyes, eyebrows. Toning cheeks. 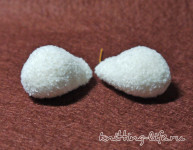 5.Iz thin cut out of felt and sew zaplatochku to the body. 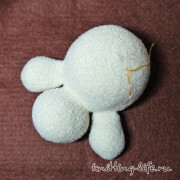 You can also sew a seam on the body in the style of Teddy. 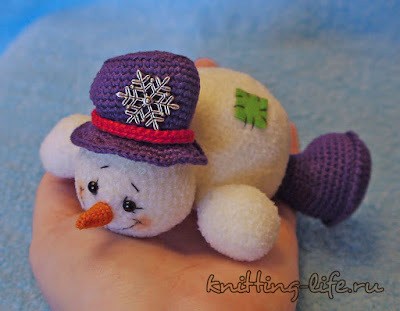 6.Shlyapu decorate a button or podvesochkoy. Es una hermosura, gracias por compartir. Felicitaciones a la diseñadora o diseñador.